We’re changing the way people handle and grow their reputation. Not that long ago (just over 2 years) we were just a few developers with an app that automates the collection of customer reviews. Now we’re a rapidly growing startup (recently surpassing $1.5m in revenue) that serves more than a thousand businesses across North America. Whether it’s software that helps collect positive reviews, or using those reviews to get more referrals and sales, we use technology to give people products that ensure that their great work never goes unrecognized, unappreciated or unrewarded. For the people who run their websites or local marketing on NiceJob, our app represents a solution they love. With NiceJob, skilled service providers no longer unreasonably have to also be digital marketing authorities to acquire new business. And that’s just what we’re doing today. We’re thinking about the future, too. With our product team working on using things like natural language processing and machine learning to be able to surface reviews at the point of purchase, we’re reimagining how businesses influence purchase decisions. We’re helping people be financially independent and able to continue to contribute to their community, their friends, and their families. The most successful technology companies are brilliant storytellers. They can effectively engage with business, technical and consumer audiences alike, helping them understand the magic behind the products they use. Enthusiastic storytelling empowers customers to make informed decisions through fostering relationships. The Relationship Specialist is responsible for growing those relationships by telling NiceJob’s story – how we’re transforming the lives and businesses of those we work with, helping people get the recognition they deserve, or helping people find great services and products.. In this role you will be responsible for conducting outreach to sales qualified leads, both cold, warm, and hot, and spending as much time on the phone with leads as possible, as well as taking booked sales calls with you in order to close new business. Every employee will start doing customer success to become product experts. 7-8am: In the office, morning coffee, preparing for day, set up call queue, responding to emails. Dialed in by 8am. Productivity – conversations (not sms, or email – actually talking to someone) per day/hour. A super-networker, able to talk to anyone, anywhere, anytime about anything. Thorough understanding of Online Marketing concepts and the broader tech industry. Someone with a bachelor’s degree or some other formal training (eg. Coursera) in a relevant field. Someone with previous experience in HubSpot (ideally) or similar CRM’s. You’ll be using it a lot in this role so if you be prepared and willing to do that. Has general knowledge of marketing & SEO – or can VERY quickly pick it up to be able to talk confidently about it in sales calls. 💰$50,000-$130,000 or more ($35,000 base salary + a tiered commission system, starting at $1 commission per $1 in new MRR, up to $1.40 per $1 in new MRR, depending on your sales that month and your average churn rate) No commission caps, and you’ll make $50,000/year if you sell $1,500 monthly, which is less than 1 sale per day to inbound leads and warm prospects (such as trial ended users who did not yet convert). 😎 Fast-track career path to senior management (this would entail moving out of commissioned sales however, unless dealing with larger enterprise accounts), depending on interest/abilities (as we grow, new hires in these fields will more often report to existing employees), ie. rapid earnings growth as a result. At NiceJob, we don’t just accept diversity — we celebrate it, we encourage it, and we thrive on it for the benefit of our employees, our products and our community. We are committed to fostering belonging through a diverse and inclusive workplace. We do not discriminate against any race, gender, religious affiliation, ethnicity or any other demographic – instead, we celebrate diversity. We don’t ask or pay people based on what they used to make. We pay people what they’re worth. To resolve this, we benchmark positions against industry rates and then beat them to attract and retain the best talent. Lastly, we hire for culture add, not culture fit so that we can gain unique skills, viewpoints, and ultimately innovation. 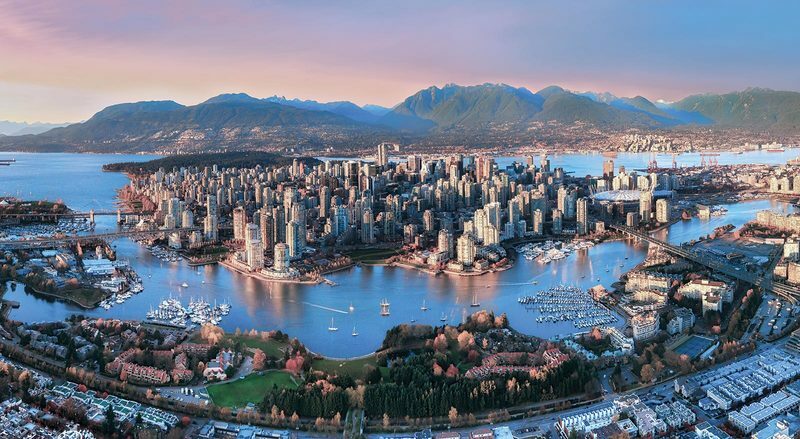 Gaining a reputation in recent years as a global startup and tech hub, Vancouver has become home to several large tech companies such as home-grown Hootsuite and Slack. Even Amazon, Facebook, Microsoft, IBM, and Google are opening up offices in the region, signalling the city’s exciting future. Local universities rank as high as top 30 in the world and provide a constant supply of high quality talent. The diverse and accepting culture, exquisite cuisine throughout vibrant neighborhoods, the warm temperate weather, and the unlimited outdoor adventure near snow-capped mountains with breathtaking ocean views make this city not just one where people want to work, but one where they want to live.